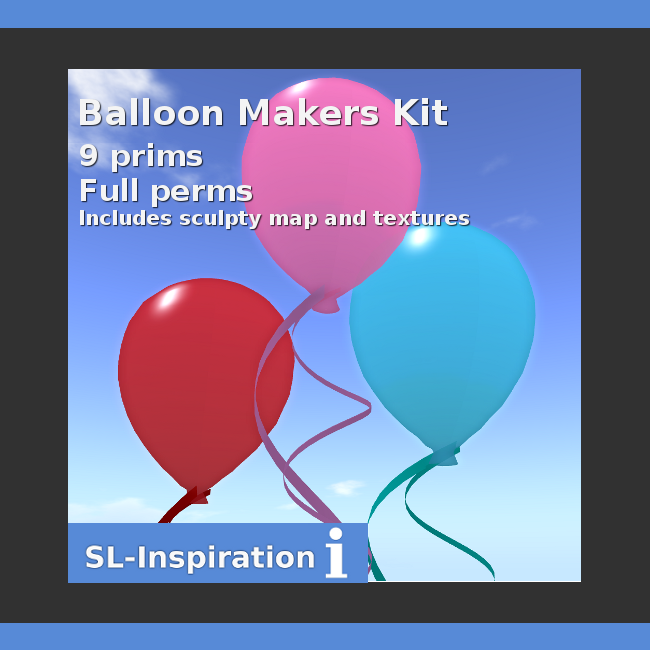 The Balloon Makers Kit is for people in Second Life who want to quickly create and customise their own balloons with either images or text (or both). It comprises of a balloon sculpty map, as well as some example balloons and textures. This means the balloons can be used straight out of the box or can be personalised. You can collect your free Balloon Makers Kit from the Marketplace. To make it easier for creators to customise their balloons I have made available a Gimp file that includes the balloon textures and shadow maps. 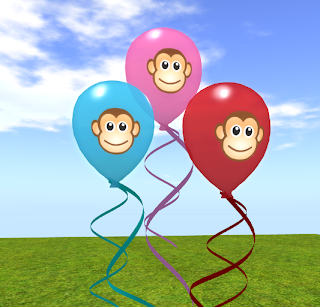 This means text or images and even your own textures can easily be added to the balloons. The steps below describe how to use this file, and will provide a newcomer to Gimp with another easy to follow tutorial which covers a number of useful features that can be applied to other projects . 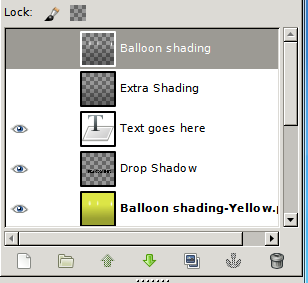 The first thing to do is download the Gimp Balloon Textures file. Use the free download option. Once the file is downloaded, double click on it to open it. This assumes you have Gimp installed on your PC. Adding Text to a balloon has been made very easy. In the Layer Dialogue window click on the 'Text goes here' layer, then select the text option from the Toolbox window (Text is the capital A). Now in the image window click where you see the text, delete it by pressing backspace on your keyboard, and replace it with your own text. Go back to the Layers window and turn off the Drop Shadow layer by clicking on the eye icon. Making sure the text layer is still the active layer, select Filters > Light and Shadow > Drop Shadow. A new Window will open where you can add a subtle shadow to the text to make it more distinct. Change the settings to match those below then click OK.
Back in the Layers window again, right click on the text later and from the drop down menu select 'Merge Down'. This will merge the text with the drop shadow layer. 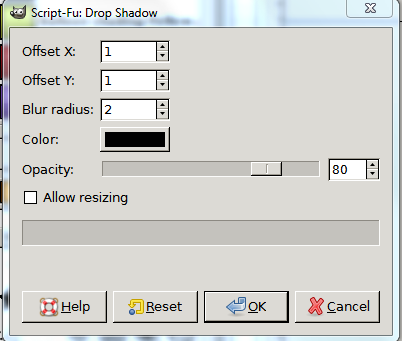 In the image window, select Layer > Autocrop Layer. This will make it easier to adjust the position of the text if you need to. To do this in the Toolbox window select the move option ( a four headed arrow icon), then make sure 'Move the active layer' option is active. You can find this below the icons in the Toolbox. With the text layer still active, in the image window hold down the right mouse button over the text and you will be able to drag it to a new position. When you are happy with its placement let go of the mouse button. Looking at the different layers, you'll see there are a number of options for balloon colours. Simply activate or de-activate each layer by clicking on the eye icons to change the background colour. You can also add your own colours. 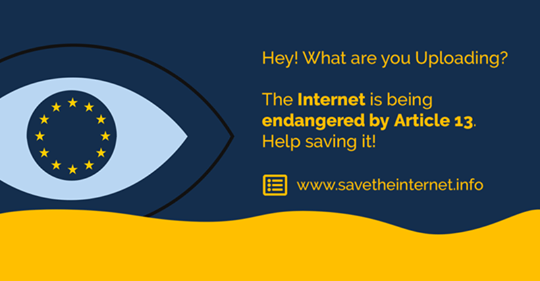 Make the yellow layer active by clicking on it. Create a new layer by clicking on the icon to the far left below the layers window,(the icon looks like a piece of paper with a folded top right corner). With the new layer the active layer, go to the Toolbox panel and click on the black square below the tool icons. This will bring up a colour selector window, (see below). Simply play with this window until you get a colour you like. Once you've finished, at the top of the layers window activate the 'Balloon Shading' layer to add highlights and shading to the colour. To save your balloon texture go to the Layers panel, right click on the top most layer and select 'Flatten' from the drop down menu. Now your balloon texture is ready to be uploaded and added to your balloon in Second Life. If you want to give the entire balloon a new texture, make sure the image is 1024 X 1024. Add the image by selecting File > Open as Layers. The texture will now be above all the other textures, so move it below the shading layer by clicking on the green down arrow thats below the layers window. Activate the shading layer to add highlights to your texture, then follow the steps above to export the texture. 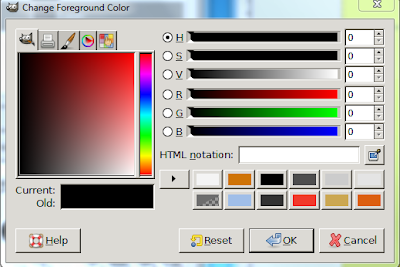 You can also add an image and use a colour layer as background. Import the image as above. 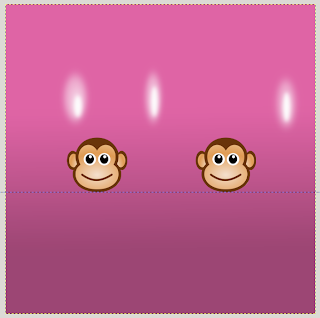 The layer can be resized by selecting Layer > Scale layer which will open a new window. Choose a size that suits the balloon. Click the Scale button to resize the image layer and to close the scale window. If the image is small you may want it to appear twice, on opposite parts of the balloon. To do this, select Layer> Autocrop Layer. This will make the image layer easier to position. Below the Layers window click on the icon third from the right. This will create a copy of the image layer. To make sure the images are aligned on the balloon accurately a guide line can be used. Click on the Move icon in the Toolbox window and make sure 'Pick a layer or guide' is selected. From the bottom (or top) edge of the image window drag your cursor to create a guide line. position it on the bottom edge of the image. Now when you move the image copy it will snap to the guideline. In the Layers window, click on the layer that is the copied image and move it into position. You may need to adjust the position of both images so they are spaced correctly. When you are happy with the placement of both images the texture is ready to be exported then uploaded into Second Life. As you can see, using the Balloon Makers Kit is quite quick and easy, and although this tutorial may seem involved, a lot of the information is aimed at those unfamiliar with Gimp. Each step taken by itself is hopefully easy to follow.